Here is another simple DIY project. It can be done with any punching system; I just happen to be in a huge Circa/Rolla fetish phase at this time. Work on a hard flat surface. Make sure the fold of the folder is visible. 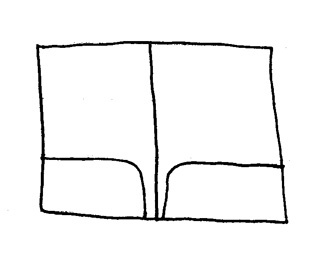 You may want to reverse the fold and crease well to ensure a clear line. 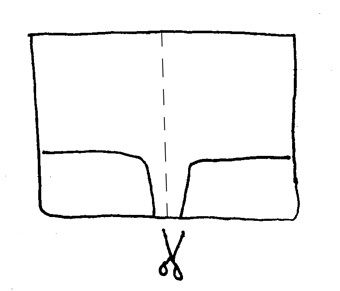 Cut the folder along the crease line. You should now have two equal parts (because equal halves would be redundant ;P). Punch the halves so the pockets will be on the inside of the cover. Be a rebel and have the pockets on the outside of the cover. 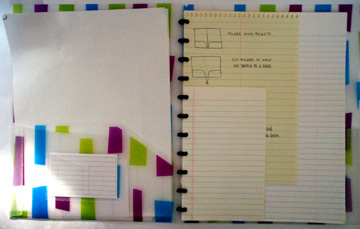 Here are a couple pictures of my new letter size (8.5″ x 11″) Rolla notebook. Rather than purchasing a letter sized Circa notebook, I decided this would full-fill my needs quite nicely. Oh so cute! 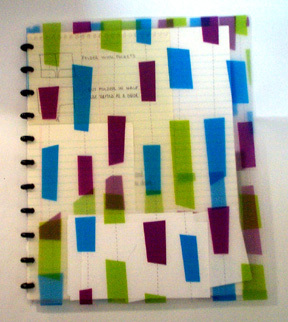 I want to try this with a cute lime green, butterfly splattered plastic folder I have! It has three pre-punched holes in it, guess I could “smurf” around them. Thanks for sharing! Gettin’ at this one a little late, but I’ll resurrect an old topic for fun. 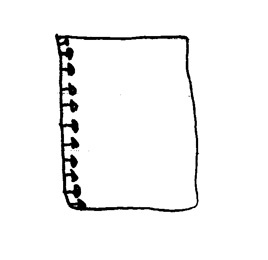 Sara, how’s the ongoing durability been with the folder/cover? I’m toying with doing this myself, but I’d like to make sure that the covers are (to a certain extent) durable for the long haul. How’ve they held up? Awesome…looks like I might be on the hunt for some new office supplies. Nice work, and thanks for sharing it!